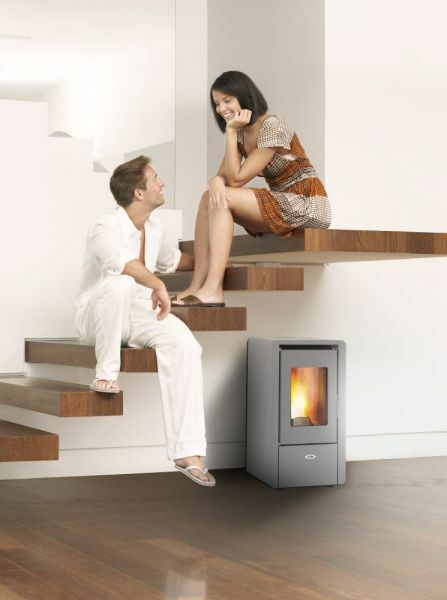 The Kalor Petite 6 is a 6kW Air Stove with simple, contemporary design that would suit any interior. Available ex-stock in two colours and offering high efficiency of 89%. The Petite 6 is remarkable in its compact size, it is one of the smallest wood pellet stoves on the market and offers unbelievable value for money. Simple, modern design, extremely compact!